It is time to put denuclearization on the back burner and adopt realistic approaches toward North Korea. An all-or-nothing approach will yield nothing, leaving the United States worse off than before the diplomatic outreach began. Can South Korea’s Moon Jae-in broker a process for North Korean denuclearization acceptable to both Washington and Pyongyang? Take this quiz to test your knowledge of North Korea, including its nuclear buildup, the Kim dynasty, and more. President Trump’s approach to summits is fueling, rather than mitigating, global instability. 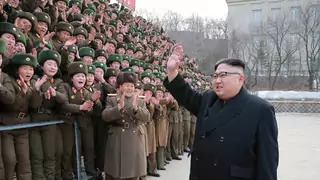 Victor Cha, senior advisor and Korea chair at the Center for Strategic and International Studies, joins James M. Lindsay to discuss North Korea and the aftermath of the Trump-Kim summit.